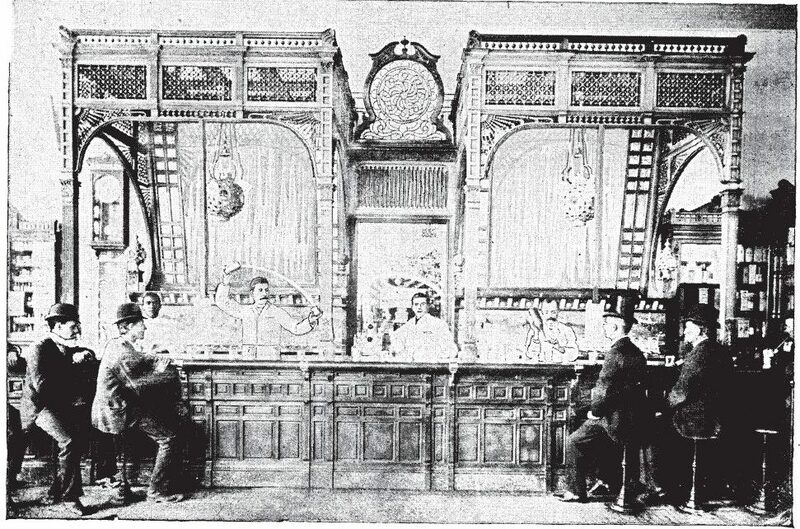 Patrons wait for their soda fountain drinks, and sip on bar stools. 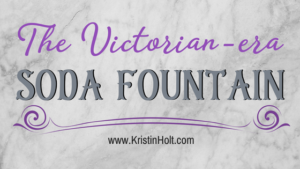 With the sheer number of items on the drink menu, and the “show” of men in white coats preparing beverage orders, the Victorian soda fountain strongly resembles a bar or saloon–and some of the drinks did include a small to moderate amount of alcohol. 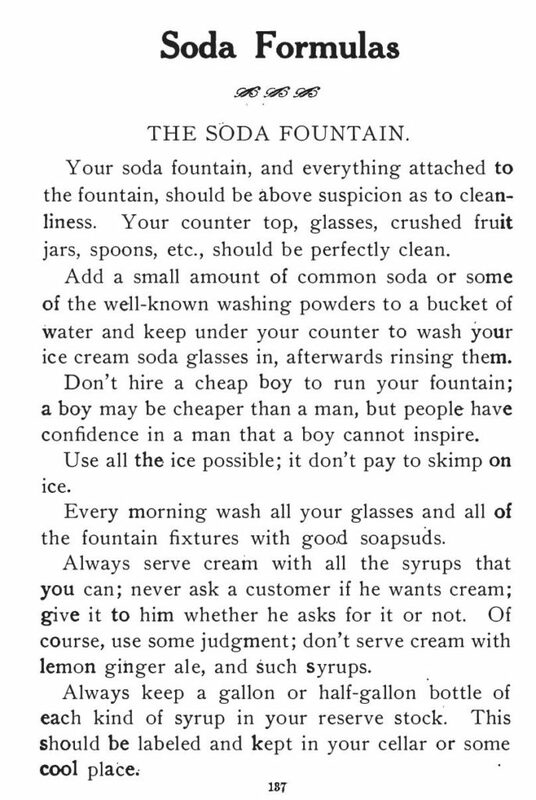 Image: from within Saxe’s New Guide or Hints to Soda Water Dispensers, first edition published in 1890; third edition (from whence this image came), published 1894. Alcohol in soda! 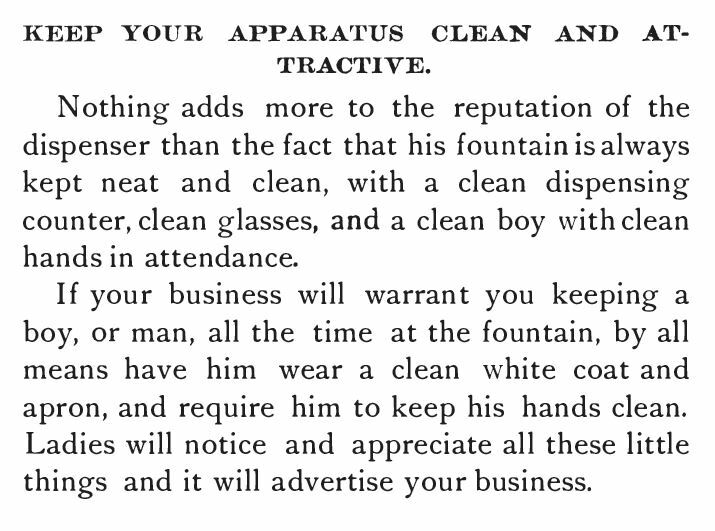 Saxe’s New Guide or Hints to Soda Water Dispensers, Third Edition, 1894, p 23. Alcoholic frozen punches. 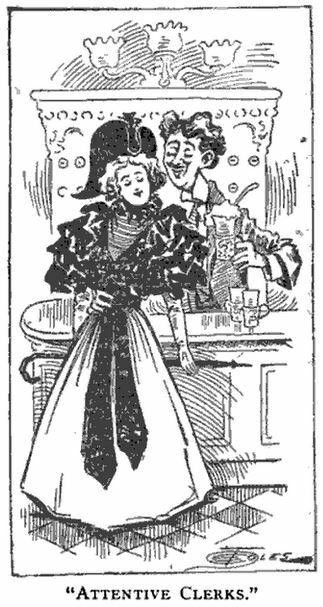 The Spatula Soda Water Guide, 1901. 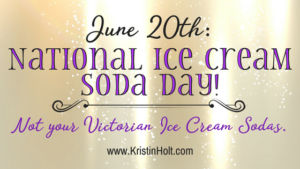 From the numerous advertisements I located in vintage newspapers, it seems that in America, at least, soda fountains were an important part of the bakery’s and/or the druggist (pharmacy)’s business. 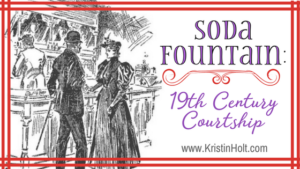 In fact, some manuals stated that the profit generated from the soda fountain would be the greatest of all sales (for the druggist) in the summer months, that to ensure quality ingredients, abundant ice (though expensive), and superb customer service would ensure the owner’s livelihood. 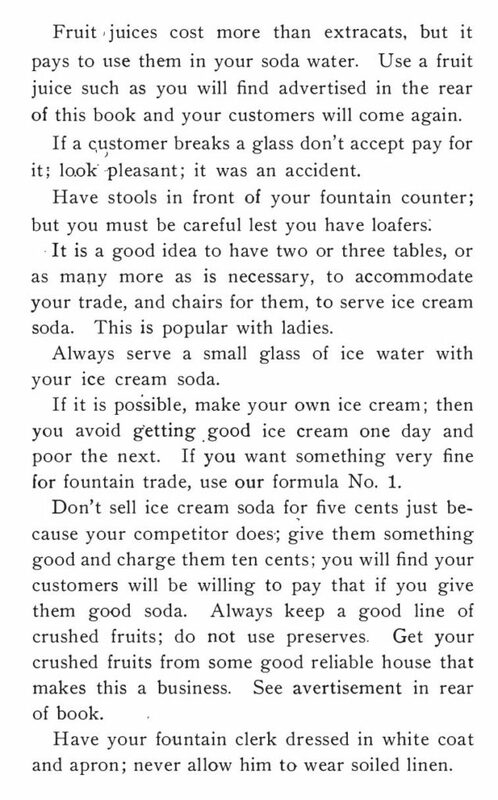 Rigby’s Reliable Candy Teacher and Soda and Ice Cream Formulas by Will O. Rigby, published 1909, p. 139. Evidently Doc. Talbott, of Lawrence, Kansas, understood the importance of advertising. 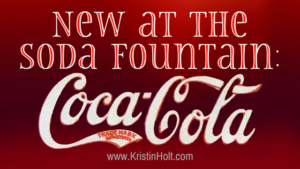 I’ve shown Soda Fountains (and their advertisements) in well-established cities like Nashville, Hartford, and New York. 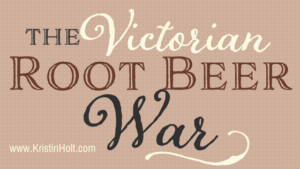 But did the American West have the luxury of soda fountains? Absolutely! The following series of advertisements (a common format, with one short ad after another, all for the same business) comes from The Daily Kansas Tribune of Lawrence, Kansas, on July 20, 1869. 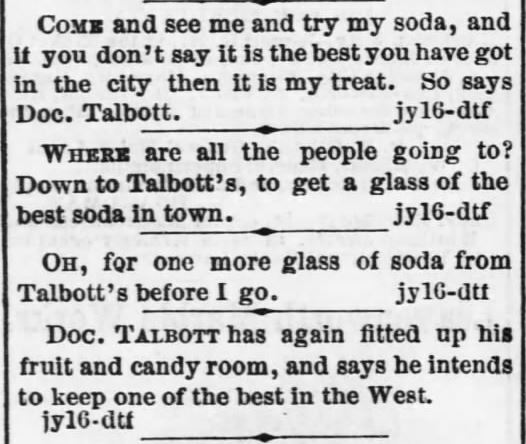 Soda Fountain Advertisements published in The Daily Kansas Tribune of Lawrence, Kansas on July 20, 1869. 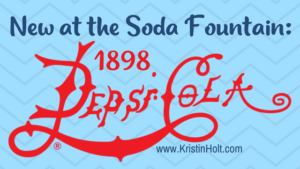 By the 1890s, the soda business was thriving! First impressions are everything! 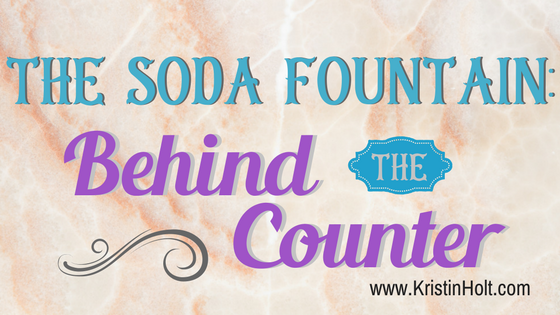 Keep your Soda Fountain–with lots of marble and glass–sparkling clean. 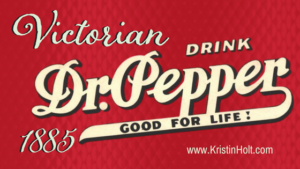 Set up shop the best way to facilitate comfort and ease… and by all means, ensure your Soda Men (notice the instruction is always for men–not boys, and not women of any age) present themselves with excellent hygiene and a clean, white linen jacket. Saxe’s New Guide or Hints to Soda Water Dispensers, Third Edition, 1894, p 20. 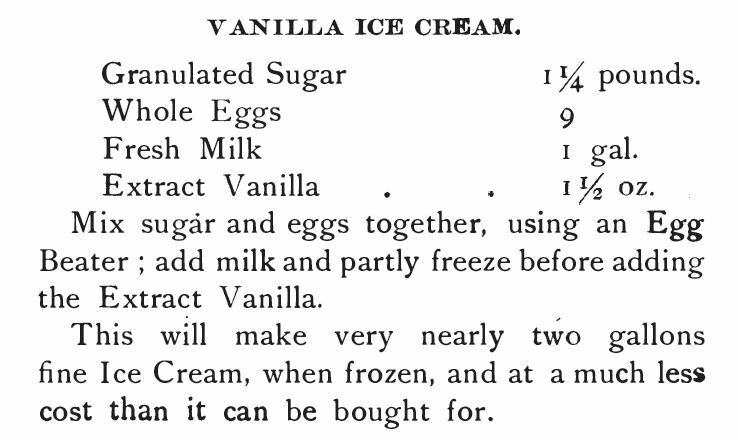 Rigby’s Reliable Candy Teacher and Soda and Ice Cream Formulas, 1909, p 137. 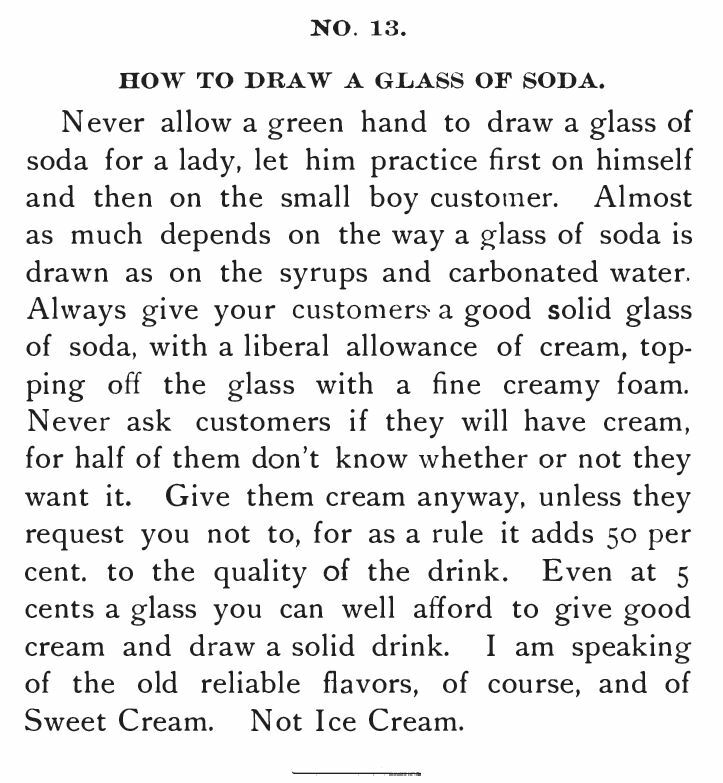 Rigby’s Reliable Candy Teacher and Soda and Ice Cream Formulas, 1909, p 138. Attentive Clerks. 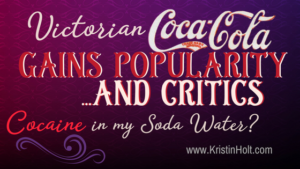 The Spatula Soda Water Guide. Don’t have an excuse for being out of anything. Don’t let syrups stand for more than a week without cleaning cans, and some flavors even oftener. Don’t put shaved ice in a cream soda. Don’t shake soda in shaker: stir it when mixing. Don’t let your feet get wet. Don’t serve the last drop of syrup in the can. Don’t try to wait on every customer at once. Don’t hesitate about changing a drink that does not suit. Don’t leave your white coats unbuttoned unless wearing a white vest. Don’t lean on the counter. Don’t refuse to make a drink in any way a customer may desire you to. You get his trade and your price for the drink even if you don’t like his way. He drinks it, not you. Don’t converse with customers or friends while others are waiting to be served. Don’t let the first impression you make be any but a good one. 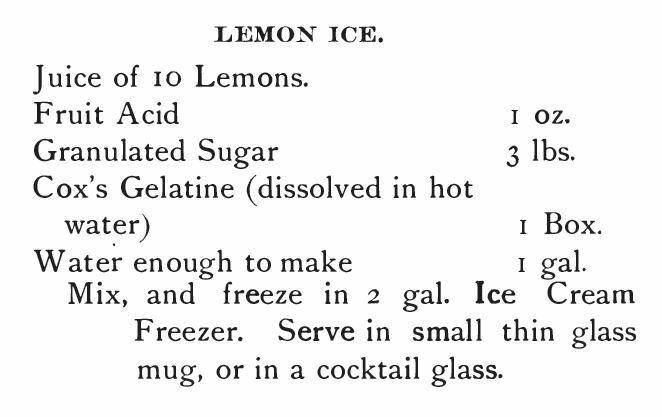 ~ The Spatula Soda Water Guide, 1901, p. 31. The Standard Formulary: A Collection of Nearly Five Thousand Formulas for Pharmaceutical Preparations, Family Remedies, Toilet Articles, Veterinary Remedies, Soda Fountain Requisites, and Miscellaneous Preparations Especially Adapted to the Requirements of the Retail Druggists, by Albert E. Ebert and A. Emil Hiss part 2. 1897-1900. The following two snippets, about ice and cream, were presented as part of the whole (page 137) under First Impressions. 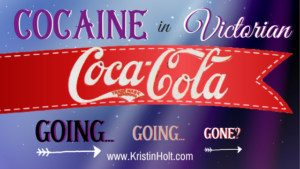 Ultimately, the message is about quality sodas too! Same thing with using excellent quality crushed fruits and real fruit juice whenever possible, and charge the right amount. People have always been willing, it seems, to pay for quality. 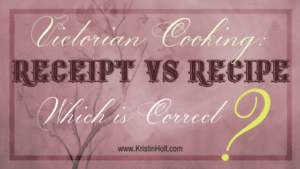 Provide an easy-t0-read menu for customers. A good plan to avoid answering innumerable questions as to what drinks you serve, and the price of same, is to make out a complete list giving price of each drink, and have it printed in large type on a neat price of heavy card board, which should be suspended directly over the dispensing counter in such a position that the customer can not help seeing and reading it. 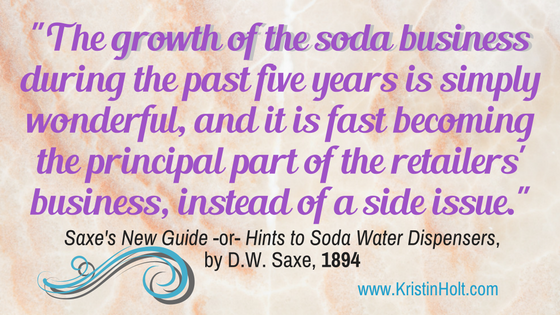 ~ Saxe’s New Guide or Hints to Soda Water Dispensers, Third Edition, 1894, pp 31-32. 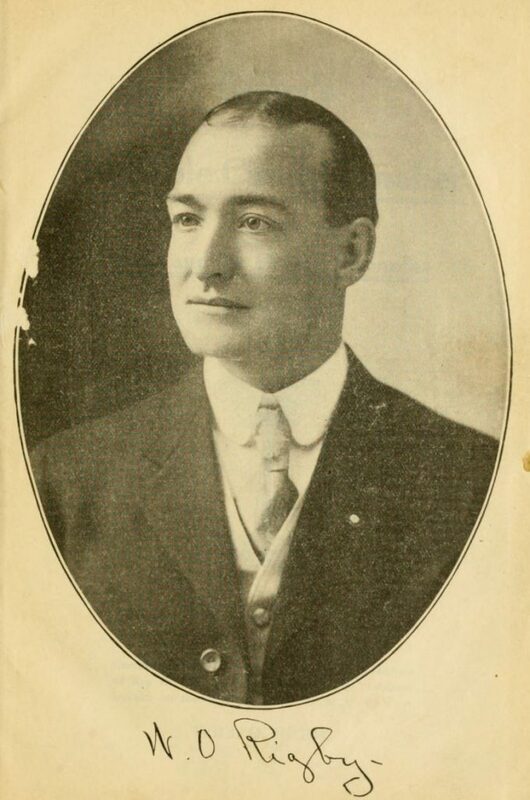 Rigby’s Reliable Candy Teacher, 1909. Saxe’s New Guide or Hints to Soda Water Dispensers, Third Edition, 1894, p 85. 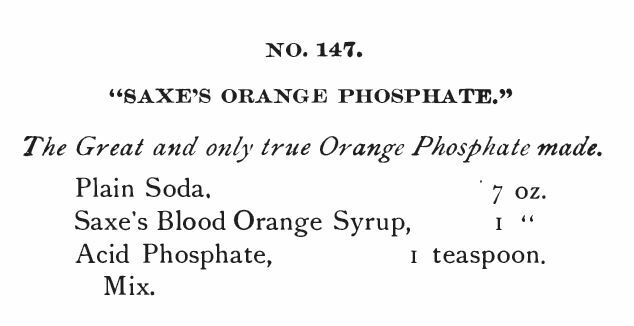 Saxe’s Blood Orange Phosphate receipt. Who knew? Apparently how one draws a soda water is as important what goes in the soda. Way to draw ice cream soda. 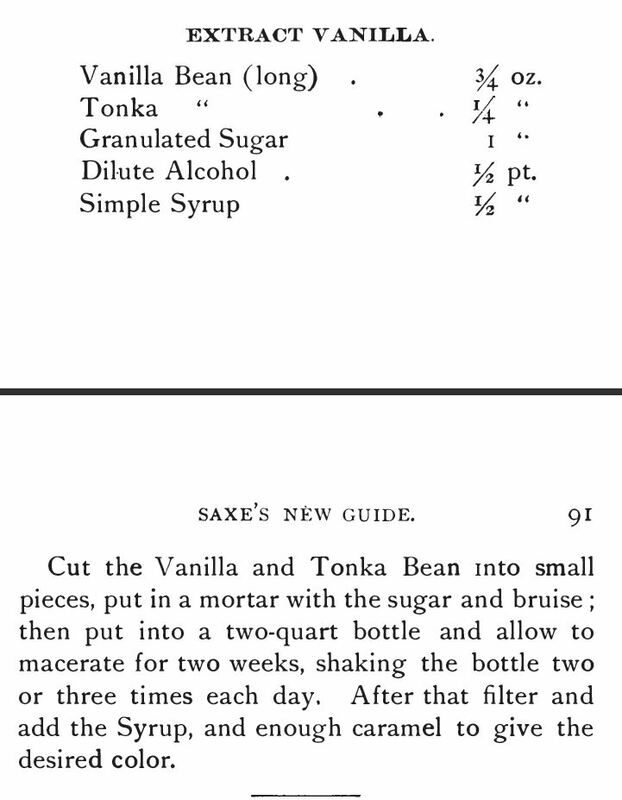 Rigby’s Reliable Candy Teacher and Soda and Ice Cream Formulas, 1909, p 154. How to Draw glass of ice cream soda. Saxe’s New Guide or Hints to Soda Water Dispensers, Third Edition, 1894, pp 21-22. When we find as we do, in some places out of town, that the syrup is to be found largely at the bottom of the glass, and generally far too much of it, making the first taste of the drink very much like plain soda, and the last so sweet and sickish that one can hardly drink it; is it any wonder that the customer is dissatisfied? The finest glass that can be used is a 14 1-2 oz. thin soda glass. We now draw one ounce of syrup, or if it be a fruit flavor one-half the amount will be sufficient, into the glass. Then with the coarse stream we draw the glass about one-fourth full of soda, and with the fine stream mix the soda thoroughly. Your glass is then about one-half full. Now add your ice cream, and where fruits are used add them at the same time, then fill the glass nearly full with soda and syrup as well as possible, taking care not to cut the ice cream any more than is necessary. It is impossible to lay down any set rule as to the amount of syrup to be used, one must study the wants of a customer; but as a general thing, the quantity given above will be found correct. Ladies generally like things sweeter than the gentlemen. Try and find out what each of your customers like, and then always see that they have it. 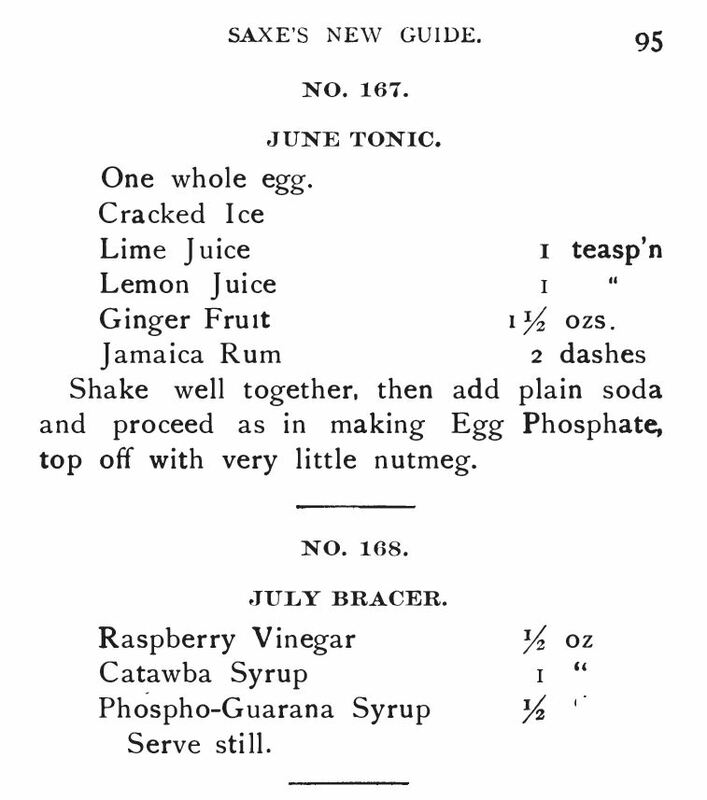 ~ The Spatula Soda Water Guide, 1901, p. 54. How to Draw Glass of Soda. Saxe’s New Guide or Hints to Soda Water Dispensers, Third Edition, 1894, p 21. 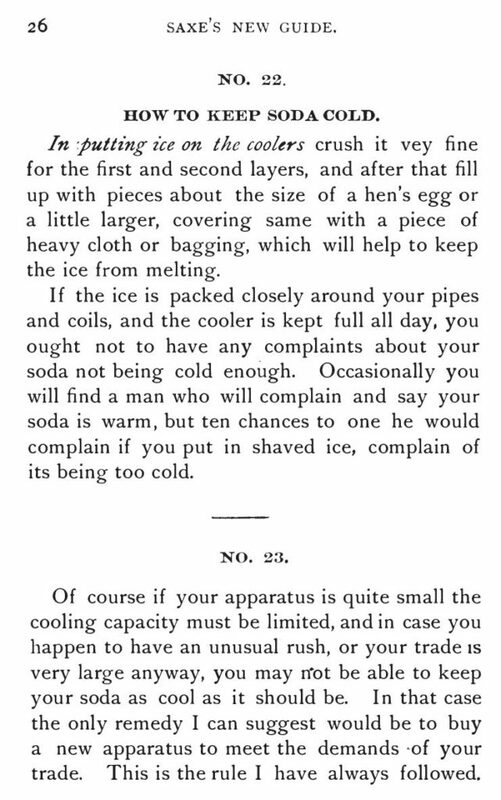 Keep Sodas Cold: Saxe’s New Guide or Hints to Soda Water Dispensers, Third Edition, 1894, p 26. Keep Sodas Cold. 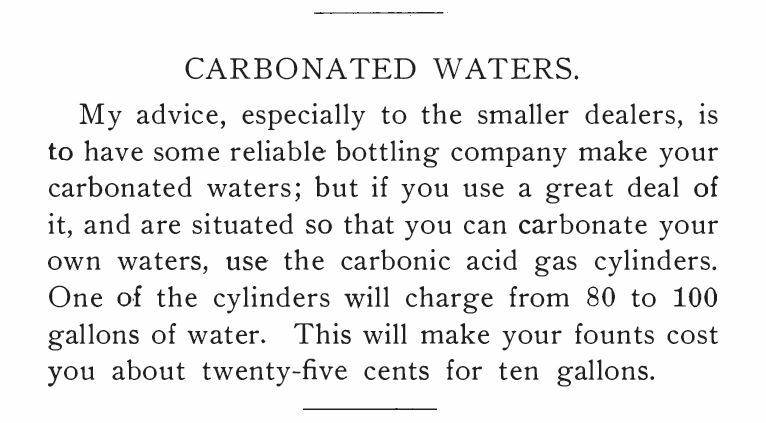 Saxe’s New Guide or Hints to Soda Water Dispensers, Third Edition, 1894, p 27. Soda Men at work. 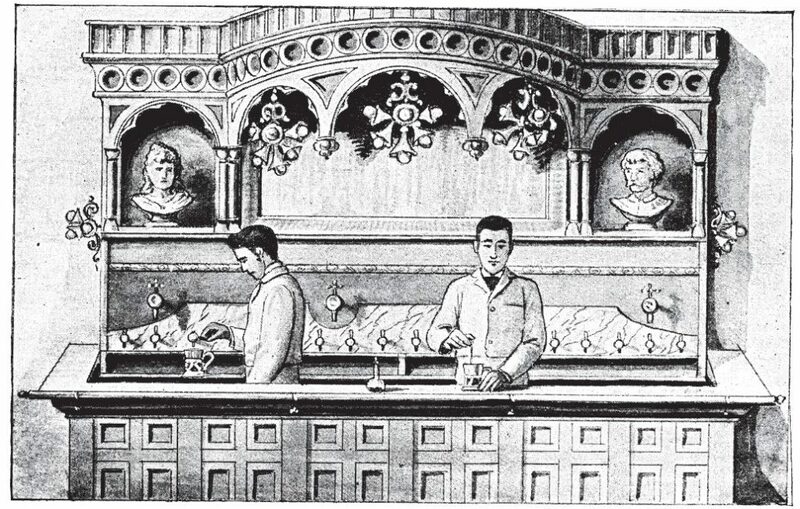 Artist’s rendition, published in Saxe’s New Guide or Hints to Soda Water Dispensers, Third Edition, 1894. Charging Soda Fountains. 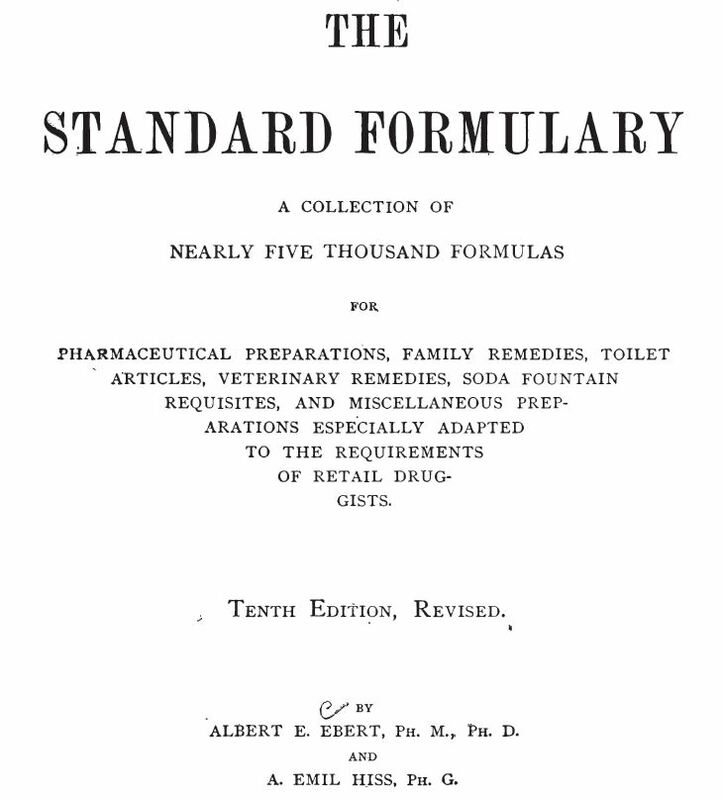 The Standard Formulary: A Collection of Nearly Five Thousand Formulas for Pharmaceutical Preparations, Family Remedies, Toilet Articles, Veterinary Remedies, Soda Fountain Requisites, and Miscellaneous Preparations Especially Adapted to the Requirements of the Retail Druggists, by Albert E. Ebert and A. Emil Hiss part 1. 1897-1900. Carbonated Waters. 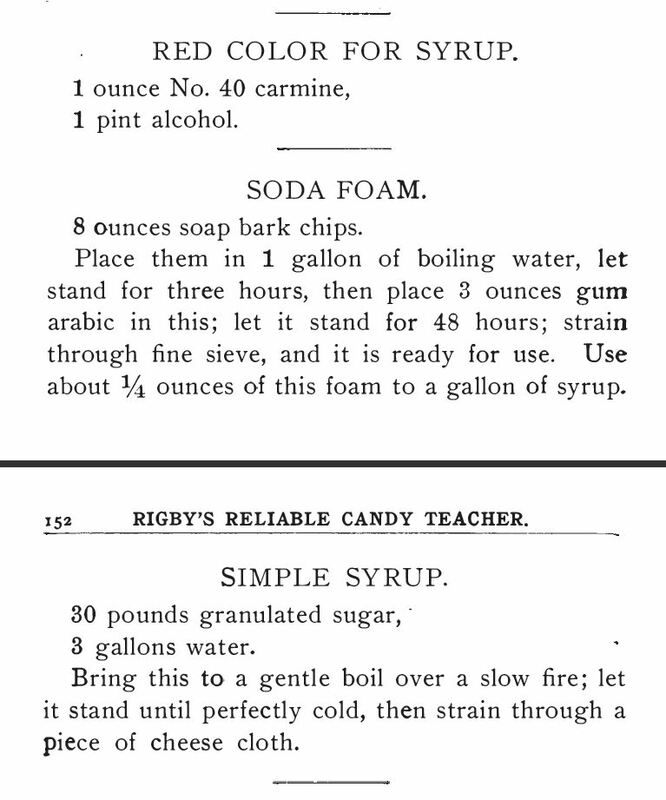 Rigby’s Reliable Candy Teacher and Soda and Ice Cream Formulas, 1909. 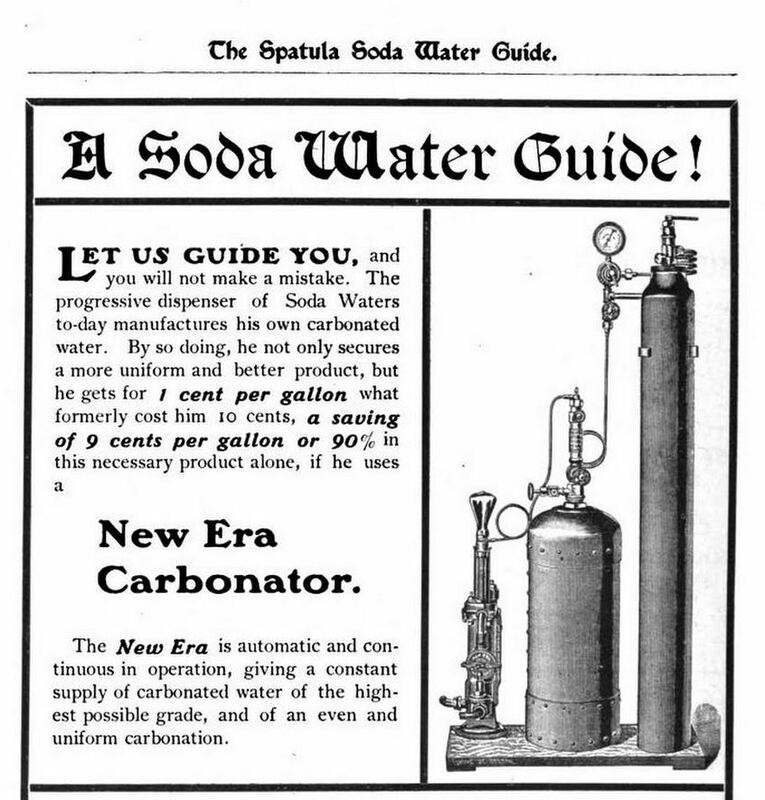 New Era Soda Carbonator, advertised in The Spatula Soda Water Guide, 1901. Back Matter. Red Color for syrup, Simple Syrup, and Soda Foam. 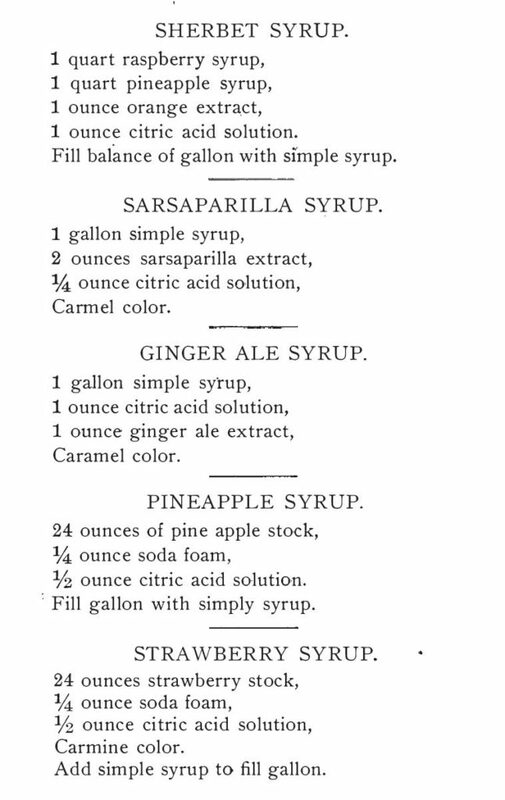 Rigby’s Reliable Candy Teacher and Soda and Ice Cream Formulas, 1909, p 151-152. 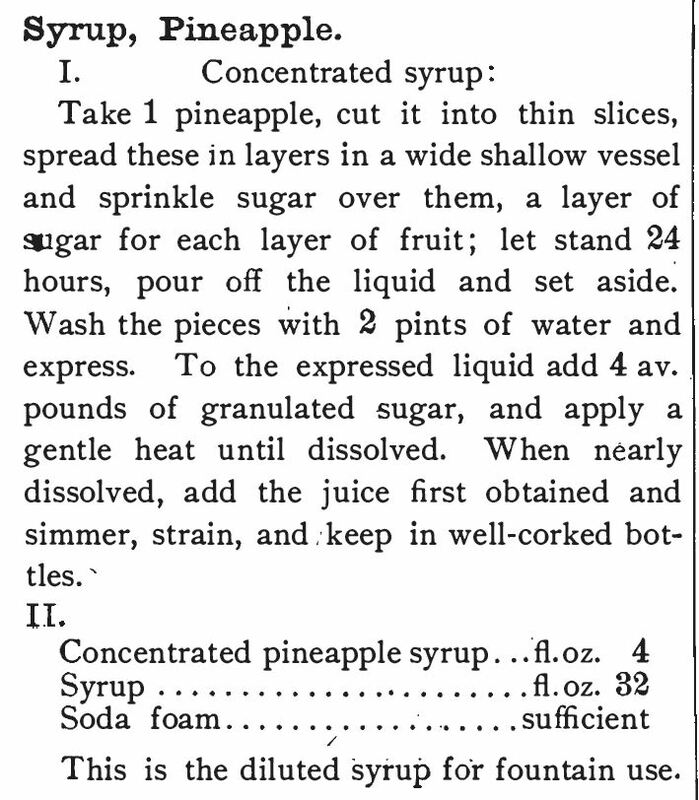 Pineapple syrup. diluted for fountain use. 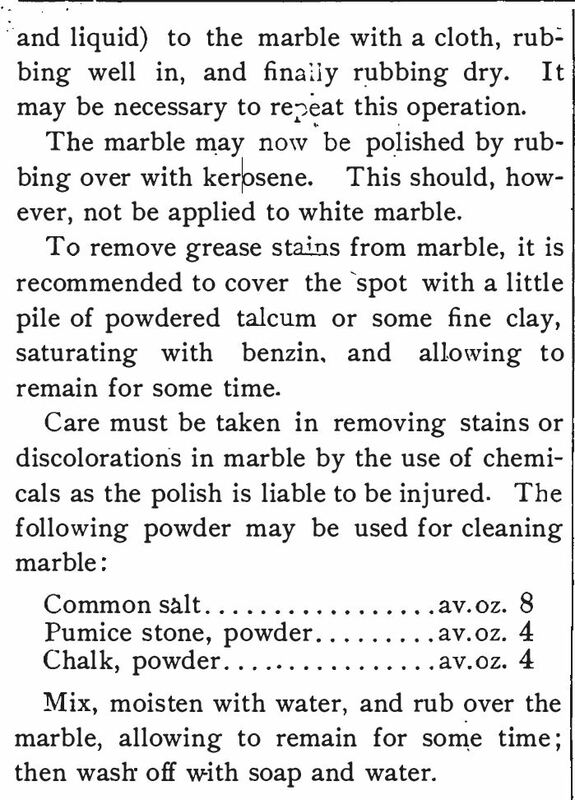 The Standard Formulary: A Collection of Nearly Five Thousand Formulas for Pharmaceutical Preparations, Family Remedies, Toilet Articles, Veterinary Remedies, Soda Fountain Requisites, and Miscellaneous Preparations Especially Adapted to the Requirements of the Retail Druggists, by Albert E. Ebert and A. Emil Hiss, 1897-1900. Lemon Ice. Saxe’s New Guide or Hints to Soda Water Dispensers, Third Edition, 1894, p 86. 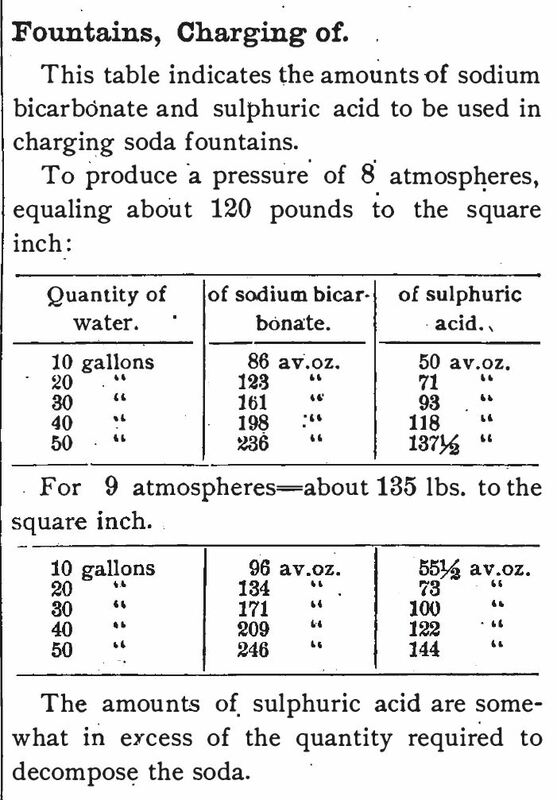 Soda Formulas. 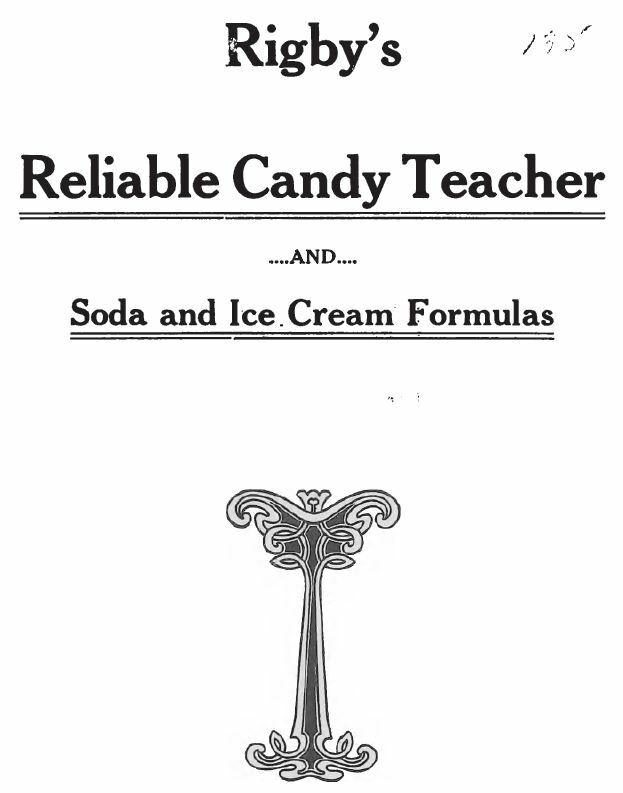 Rigby’s Reliable Candy Teacher and Soda and Ice Cream Formulas, 1909, p 141. Saxe’s Vanilla Ice Cream. 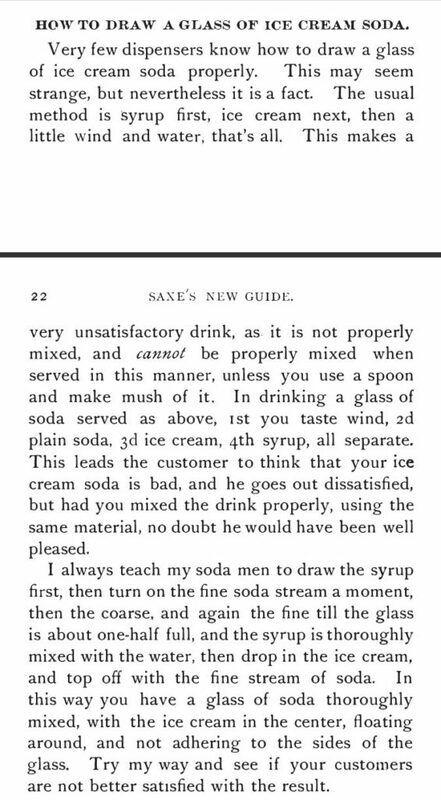 Saxe’s New Guide or Hints to Soda Water Dispensers, Third Edition, 1894, p 90. Saxe’s Extract of Vanilla. Saxe’s New Guide or Hints to Soda Water Dispensers, Third Edition, 1894, pp 90-91. 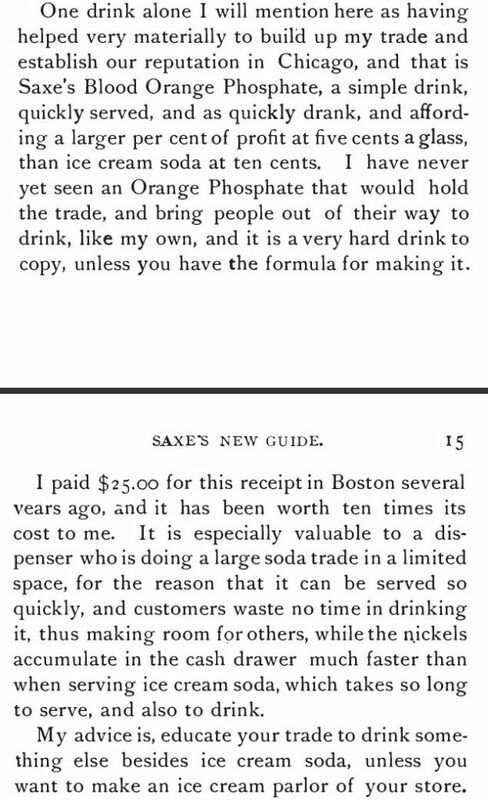 Saxe’s New Drinks for 1894, Saxe’s New Guide or Hints to Soda Water Dispensers, Third Edition, 1894, p 94. 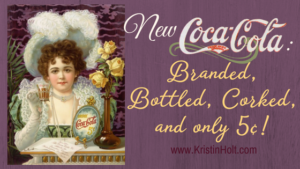 Saxe’s new drinks for 1894. Saxe’s New Guide or Hints to Soda Water Dispensers, Third Edition, 1894. June and July’s p. 95. Saxe’s New Guide cost $3.00, and he purports the information contained therein is worth at least twice as much as the price. This book cost $3.00 in 1894. WANT MORE INFORMATION? GO TO THE SOURCE! Saxe’s New Guide or Hints to Soda Water Dispensers. Book’s Title Page. Originally published in 1890, Quotations come from Saxe’s Third Edition, published in 1894. 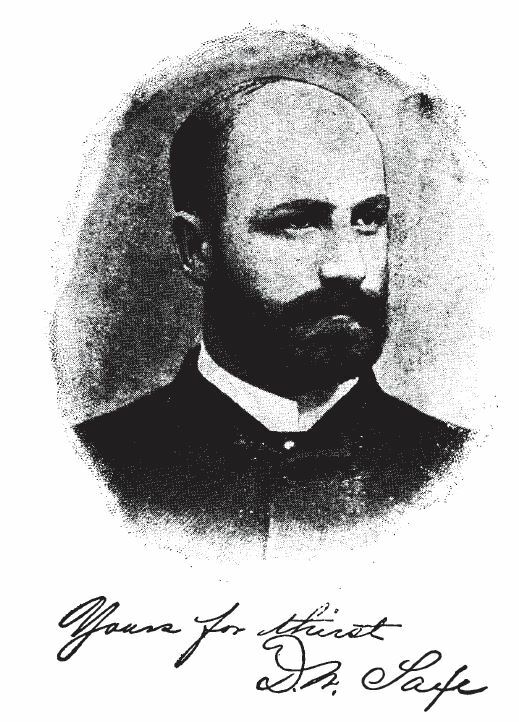 Dr. Saxe photograph and signature. Saxe’s New Guide or Hints to Soda Water Dispensers, Third Edition, 1894. Rigby’s Reliable Candy Teacher …and… Soda and Ice Cream Formulas; Containing over 500 Recipes for the Manufacture of the Most Popular Confections and Summer Drinks on the Market, by Will O. Rigby. Published in 1909. W.O. 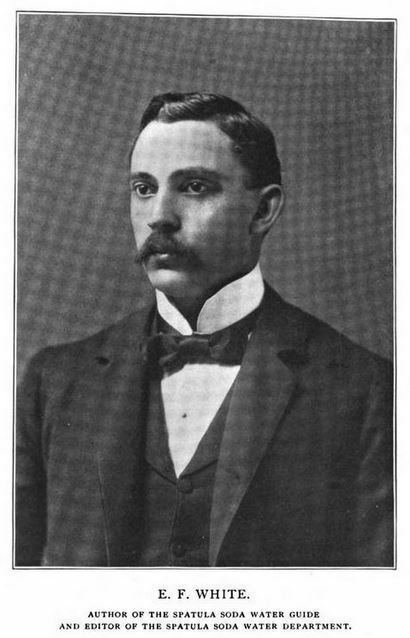 Rigby, author of Reliable Candy Teacher …and… Soda and Ice Cream Formulas, published 1909. Source: digital copy of this book, on Hathi Trust. Title Page of The Standard Formulary: A Collection of Nearly Five Thousand Formulas for Pharmaceutical Preparations, Family Remedies, Toilet Articles, Veterinary Remedies, Soda Fountain Requisites, and Miscellaneous Preparations Especially Adapted to the Requirements of Retail Druggists, by Albert E. Ebert, Ph.M, Ph.D., and A. Emil Hiss, Ph.G. Copyright 1897. 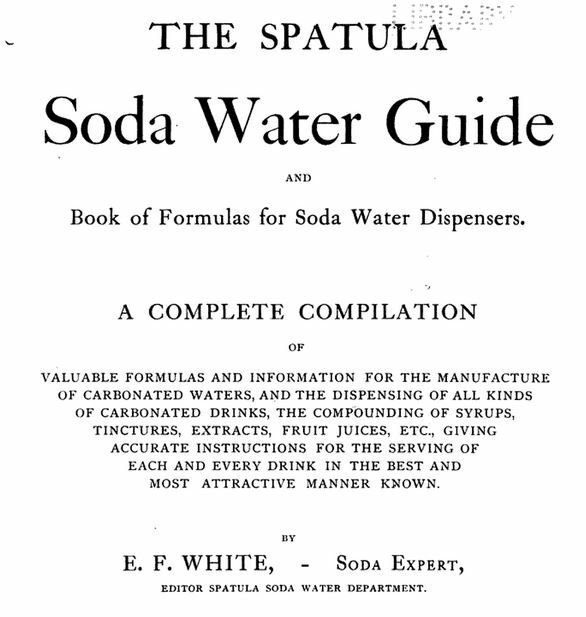 Spatula Soda Water Guide and Book of Formulas for Soda Water Dispensers: A Complete Compilation of Valuable Formulas and Information for the Manufacture of Carbonated Waters, and the Dispensing of All Kinds of Carbonated Drinks, the Compounding of Syrups, Tinctures, Extracts, Fruit Juices, Etc., Giving Accurate Instructions for the Serving of Each and Every Drink in the Best and Most Attractive Manner Known. 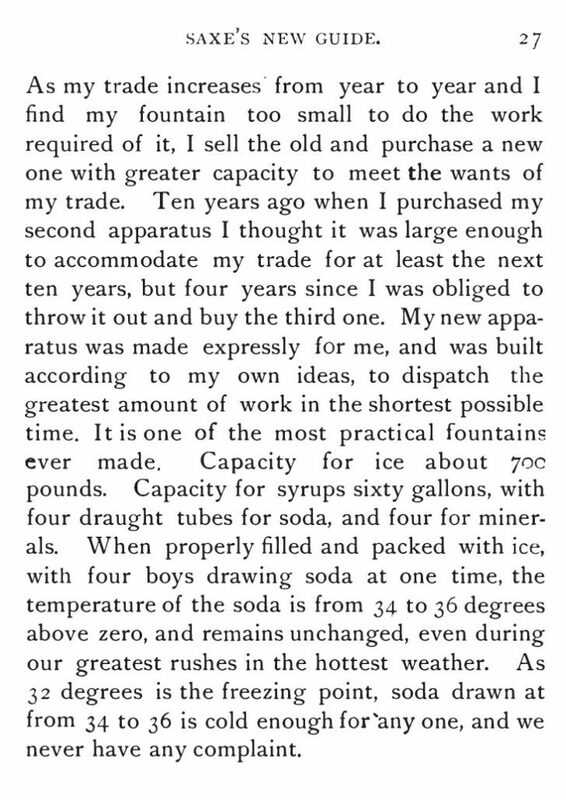 By E.F. White, Soda Expert, Editor Spatula Soda Water Department. Published by Spatula Publishing Company, of Boston, Massachusetts, 1901. 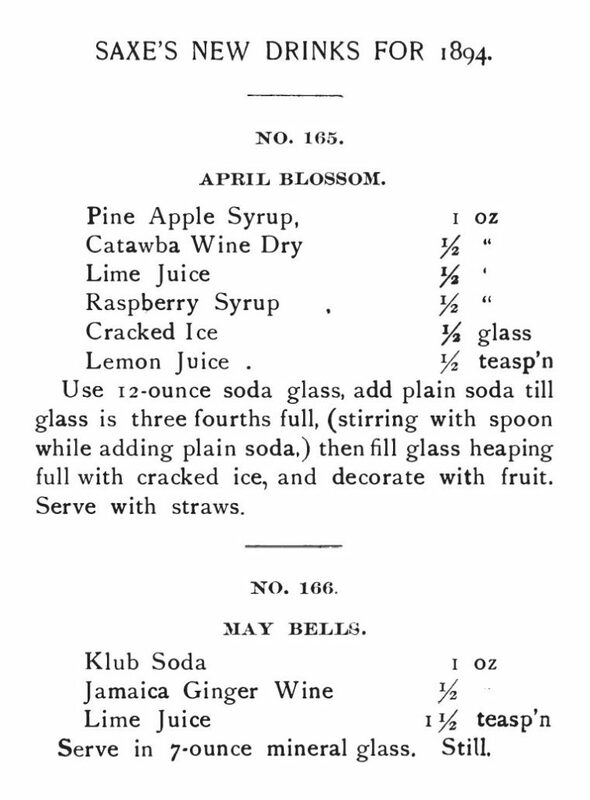 Spatula Soda Water Guide, title page, 1901. E.F. White, Author of the Spatula Soda Water Guide.